In the end, Nokia CEO Stephen Elop really didn’t have a choice. When he surveyed the competitive landscape, he found that he was boxed into a corner. While Android might have looked attractive as an alternative for their fledgling smartphone business, to back it would make him just another Android licensee. And while he could have tapped into their software ecosystem, it would have been hard for him to differentiate at the hardware level and thus be thrust against the dozens of Android handset vendors chasing the growing smartphone market. And he quickly determined that MeeGo would take too much effort and investment on their part to get developers on-board and create their own ecosystem around this mobile OS. While Intel was a formidable partner, their business model did not allow them to be as aggressive in pushing MeeGo and developers in a direction that would make MeeGo as competitive as it needed to be in order to compete with Android and IOS. With Nokia backing away from MeeGo its future is uncertain. And of course, licensing iOS and HP’s webOS were out, and that left just Microsoft as the only real choice he had when it came to re-crafting Nokia’s future. He needed a solid OS and the ability to tap into an ecosystem that had potential to grow. The fact that he was a former Microsoft exec made it easier to go to Steve Ballmer and cut a deal that was more favorable and gives them additional flexibility within the license agreement to actually create smartphones that could be differentiated. Given those stark realities, Microsoft was the only mobile OS that would allow Elop to try and put Nokia back on track and even give them a fighting chance against iOS and Android. The operative word here is “fighting-chance.” This is still a big gamble. One cannot emphasize enough the head start that Apple and Google have in the smartphone market. And the momentum they have with the developer community would seem almost insurmountable. However, Microsoft and Nokia are still powerful forces and together they could do some interesting things. If Nokia can really tweak Windows Phone 7 to add their own custom touches and it still works with the Windows Phone software ecosystem, they could ride this toward some interesting ways to differentiate. This will be especially true if they are able to find ways to make an optimized UI that is tied to various devices across full featured phones, smartphones, tablets, netbooks and even laptops and PCs. Imagine having a single UI across all of these devices that sync with each other and have applications on each platform that scale and work together seamlessly. They could not do this with an Android solution, but with Microsoft, they could use this OS and partnership to really set them apart from the competition. In fact, if you read much about the HP webOS launch this week you know that similar thinking is going on there. They see webOS running on every device across their range of products and using Synergy to tie them all together seamlessly. Or, at least, that is their vision. 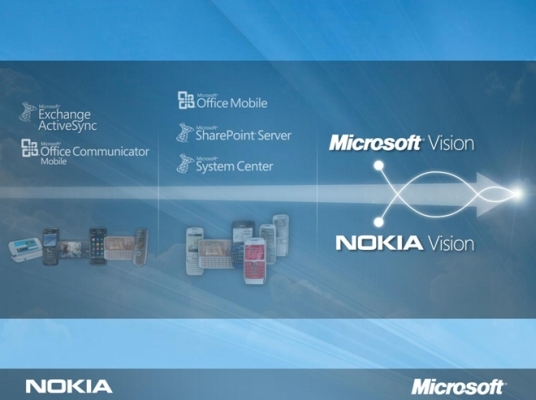 And I believe that Nokia and Microsoft are hatching a similar vision. In fact, I believe that this is really at the heart of this partnership. 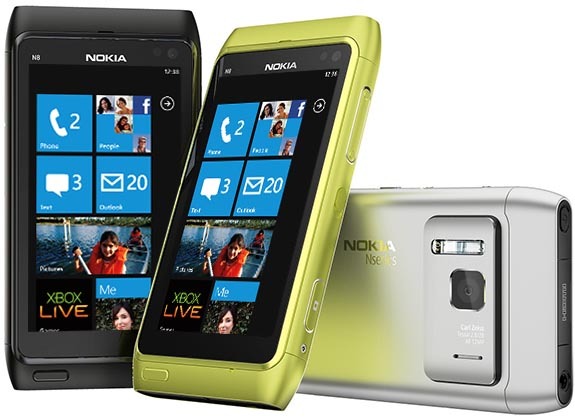 While Windows Phone 7 is at the center of their agreement, Nokia now has a way to extend their reach in many directions. Also, it would be wrong to judge the success of this deal through a US centric viewpoint. While the US is important for Microsoft and Windows Phone 7, I believe Microsoft will push their current partners to enhance their position in this market. But Nokia offers Microsoft the world. This deal has much more to do about Microsoft expanding their mobile platforms around the world and leveraging Nokia’s worldwide position to do this. From the developer’s standpoint, this now gives them a solid third mobile OS to back. The promise of tens of millions of Nokia’s smartphones selling worldwide should be quite attractive for software developers. This is especially true when it comes to localized markets. Nokia knows these local markets well and if Nokia and Microsoft do their job right and help developers create localized apps for these markets around the world, this partnership has a real chance to succeed. Although this took a serious leap of faith for Stephen Elop and the Nokia management, it was the only one that would allow them to still deliver Nokia flavored solutions and also tap into their already strong position in these world markets. And when you look at this deal/partnership, think worldwide and beyond the smartphone. I am convinced there is a much broader strategy in place that involves many devices, not just phones. Yes, Elop was backed into a corner. But while it is way too early to tell whether they can pull it off, this most likely gives him and Nokia at least a chance to keep Nokia relevant and part of the mobile landscape of the future. This entry was posted in Featured, Strategy, technology, Uncategorized. Bookmark the permalink.